Turning the corner of Cornwall and Champion. 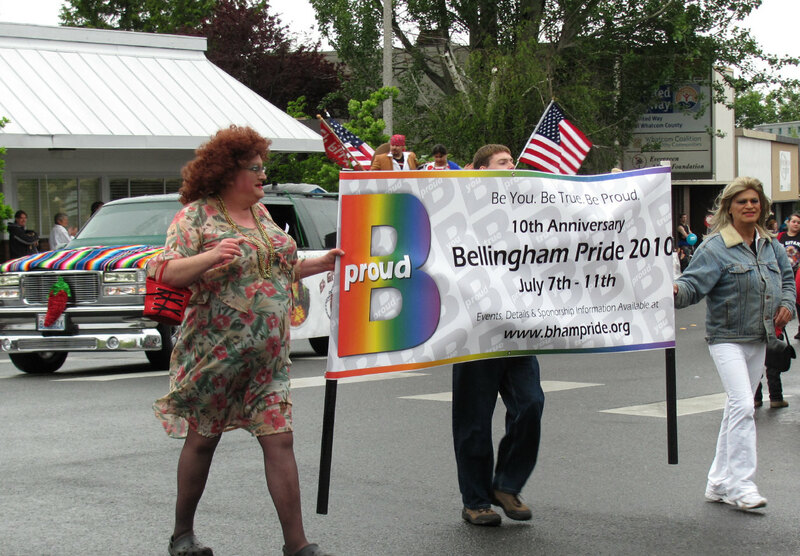 Betty Desire and sign for Bellingham's gay pride events, July 7 to 11. 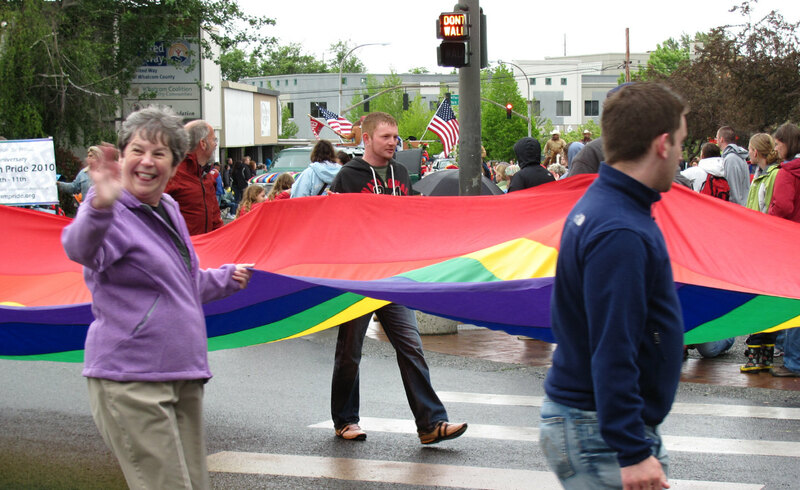 That parade and festival will be on Sunday July 11. More details at Bhampride.org. I recognize my old PFLAG cohorts Carl Nyblade, and Marcia Leishman and of course Betty Desires. 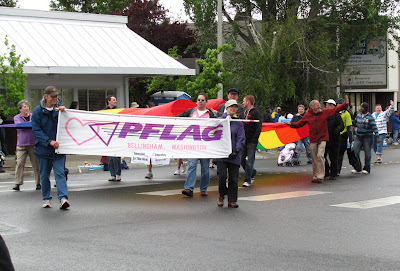 I remember a few years ago when they refused to let PFLAG and the GLBTQ community march in the Ski to Sea parade. We've come a long way baby, but of course we still have a long way to go! Thanks for sharing this Robert!